Speak to the team who work harder to achieve better results for you! Looking for personal service real estate valuations, working directly with the valuer? Contact us today and a friendly, trusted property valuations consultant will be in touch. Servicing Sunshine Coast, Caboolture, Caloundra, Maroochydore to Noosa. our staff specialise in residential property valuations. All of our valuers have over 10 years property experience. Our core business, Lever Valuers have consistently rated No.1 in Queensland for achieving Service Level Agreements (turnaround times) independently benchmarked by the Commonwealth Bank (VALEX), Macquarie Mortgages and Aussie Home Loans. Lever Valuers consistently prove that small local firms can provide superior service and greater accountability. Since opening, our main focus has been on customer service and accuracy – the two most important criteria for our financial clients. Only valuers with extensive local market knowledge can fully understand the prestige property market. At Lever Valuers, this means our Senior Certified Practicing Valuers with over 10 years local experience will undertake these more complex valuations. Our focus on accuracy through a full understanding of the market has gained an acclaimed reputation in the property industry. Lever Valuers act for a number of leading Family Law solicitors to accurately represent their clients’ interests. Increasingly we are being jointly instructed to act as a Single Expert Witness. To ensure Family Court of Australia guidelines are met, only Senior Valuers with extensive court and witness experience are allocated these instructions. Listing your property for sale can be confusing, with agents’ opinions often quite varied. Our valuers have helped many vendors accurately understand the market value of their property, which has often resulted in quicker sale times. An accurate valuation by a Certified Practising Valuer avoids wasted advertising dollars on inaccurately priced property. Importantly, it will prevent underselling your property, which has been common in the current market. Often regarded as one of the biggest decisions undertaken in a lifetime, buying a property is often a very nerve-wracking experience. Having an independent valuer guide you through can lessen the stress factor and ensure you are not letting emotions get the better of your negotiation. Our service is strongly recommended to out-of-town investors and persons new to the property market. Senior members of our community often require additional attention to their property portfolio. Be it for super fund compliance, estate planning or inter-family transfers, the experienced professionals at Lever Valuers handle each matter with appropriate sensitivity. Lever Valuers offer a 10% discount on our standard fees to all Senior Card and Carer Card holders. Just mention your Senior status when requesting a quote. Legislation requires that all Strata Plans have up-to-date replacement cost valuations to ensure unit owners are adequately covered in the event of a claim. Similarly, residential dwelling owners often have inaccurate estimates of replacement cost, resulting in either being unable to replace the same building through under-insurance, or wasting excessive premiums where a property is over-insured. Lever Valuers are suitably qualified to provide accurate assessments of replacement cost for both Body Corporate and individual owners. Lever Valuers conduct market valuations for Stamp Duty and Capital Gains Taxation assessment purposes. Retrospective valuations are commonly requested by investors, our historical database of valuations assists in providing these with accuracy. Understanding property comes with experience! 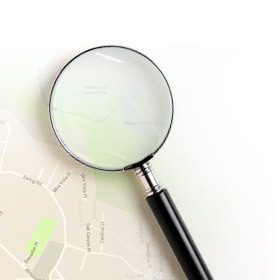 Our Valuers offer professional, results based, customer-centric services with outstanding local knowledge. Lever Valuers are dedicated property professionals who specialise in residential valuations. Our offices are on the Sunshine Coast, Queensland. Since 1996 Lever Valuers have been providing quality, well-researched and above all, accurate valuations. Understanding property comes with experience, which is what sets Lever Valuers apart. Our Senior Valuers are the region’s most experienced. Lever Valuers prides itself on its knowledge of the local property market and is committed to providing completely independent professional advice. A policy of specialisation by valuers to a given region further develops our ability to provide up-to-date market trends and accurate value levels. All of the professional staff at Lever Valuers are members of the Australian Property Institute (API), with all valuations carried out by Certified Practising Valuers. All of the valuers complete ongoing professional development requirements on an annual basis. The growth of Lever Valuers has mirrored the growth that has occurred in this ever-expanding region. We actively seek new client relationships and welcome opportunities to exhibit our high level of customer service. Looking to get your real estate valued by professionals that really understand the local market - Lever Valuers are the leading Independent property Valuers on the Sunshine Coast, Caboolture, Caloundra, Maroochydore to Noosa. Talk to one of our experienced professionals for more information or to arrange a property valuation today! Sean is one of the most experienced Property and Real Estate valuers on the Sunshine Coast, commencing his career in the region in 1985. He has experience in valuing all types of properties, ranging from residential mortgage valuations through to commercial, industrial and retail holdings. Since 1996 he has specialised in residential property and is acknowledged as one of the region’s Prestige Residential valuers. He has successfully established his own Sunshine Coast practice in 1996 and is proud of its achievements thus far. Sean has developed a broad base of knowledge of the local property market and is committed to providing his clients with a completely independent and professional valuation service. Andrew is a Senior Valuer with a wide range of valuation and general property experience. He has valued exclusively in the South East Queensland region since completion of his Business degree in 1983. Prior to joining Lever Valuers, he was Senior Valuer with the Department of Natural Resources, having over 20 years hands-on experience. Andrew joined Lever Valuers in 2000, and is based in Caboolture. His proximity to the north of Brisbane enables Lever Valuers to cover the Caboolture, Redcliffe and Pine Rivers areas without the logistical problems of the city-based valuation practices. He now specialises in residential valuations, and no valuer has a greater knowledge of the housing market in the Moreton region. Having commenced his career in 1973, Tony has now passed his 40th year in the property industry. His experience extends to a wide variety of property including retail, commercial, industrial, major asset and portfolio valuations, compulsory acquisitions and statutory assessments. A large percentage of Tony’s career has been based on the Sunshine Coast. A long-term resident of the Noosa Shire, he is Lever Valuers’ professional servicing this dynamic and challenging part of the Coast. His experience is particularly applicable to the Prestige Residential market in this region, which requires careful consideration and understanding. Amanda has worked as a valuer, specialising in the residential market for the past 10 years. She has a proven understanding of the Sunshine Coast Real Estate. Amanda is a conscientious valuer with a dedication to her clients that is second to none and achieves ongoing success by maintaining a good work ethic. In today's customer service oriented society, timely, friendly, proactive service is highly regarded, and you can be confident that Amanda will be the right professional to represent your business. Emma is a registered valuer with a Bachelor's degree in Property Economics and Development from the University of the Sunshine Coast. She completed her 2 year valuer cadetship at Lever Valuers. Prior to joining Lever Valuers she began her career in the property industry in residential property management. Having been raised on the Sunshine Coast and coupled with her dedication and passion of residential property, she has developed a sound knowledge base of the Sunshine Coast market. She is a diligent valuer who brings a professional and high level of service. Our Sunshine Coast office conducts real estate and valuations from the Noosa Shire in the north, down to the Moreton Bay Regional Council area in the south. We also cover all the hinterland areas to the west, our friendly staff are waiting to help.